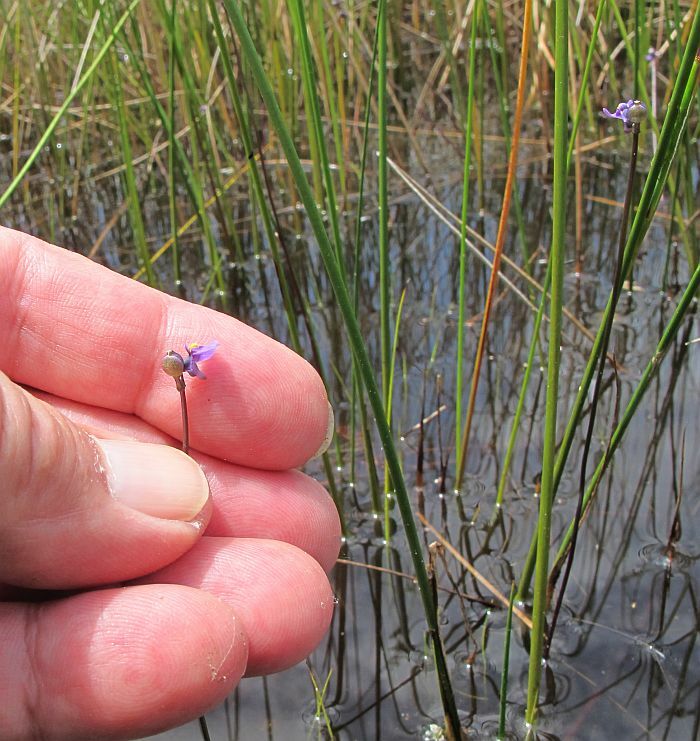 This very widespread species (also known as the ‘Purple Bladderwort’) also occurs in SA, Tasmania, Victoria, NSW and Queensland, but in WA is restricted to reasonably permanent freshwater pondage, which are not common with our normally dry summers and sandy soils. 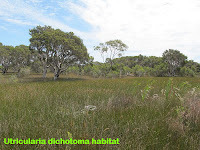 It is officially only recorded for the Esperance, Stirling Range and the Perth regions, although is probably more widespread elsewhere but not collected. 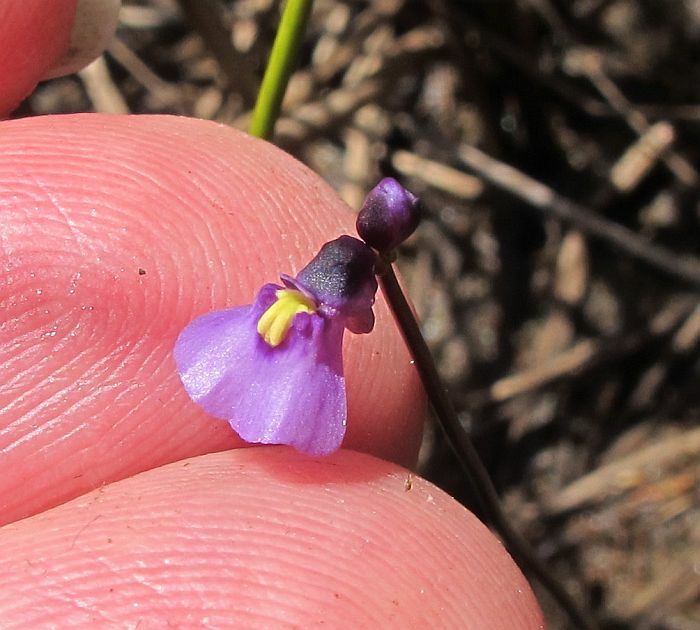 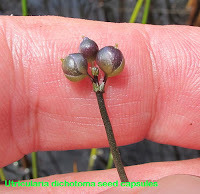 To the east of Esperance it can be found in swampy roadside areas where the road has been built up across swampy ground and in the process creating a dam-like structure on the upper side, of which native vegetation like Utricularia dichotoma have established themselves. 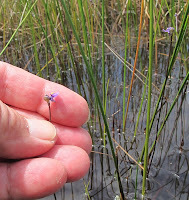 In these wet peat/sand and mostly sedge habitats, this Bladderwort can be quite common growing either in the water and/or surrounding waterlogged ground. 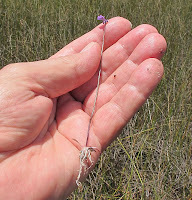 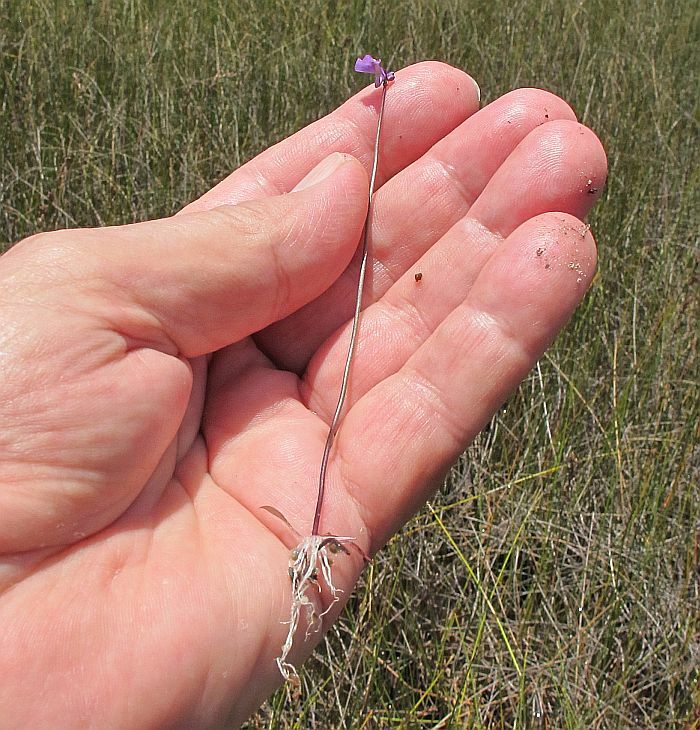 Utricularia dichotoma grows to around 30 cm (12”) in height, but out of water is commonly half this size. 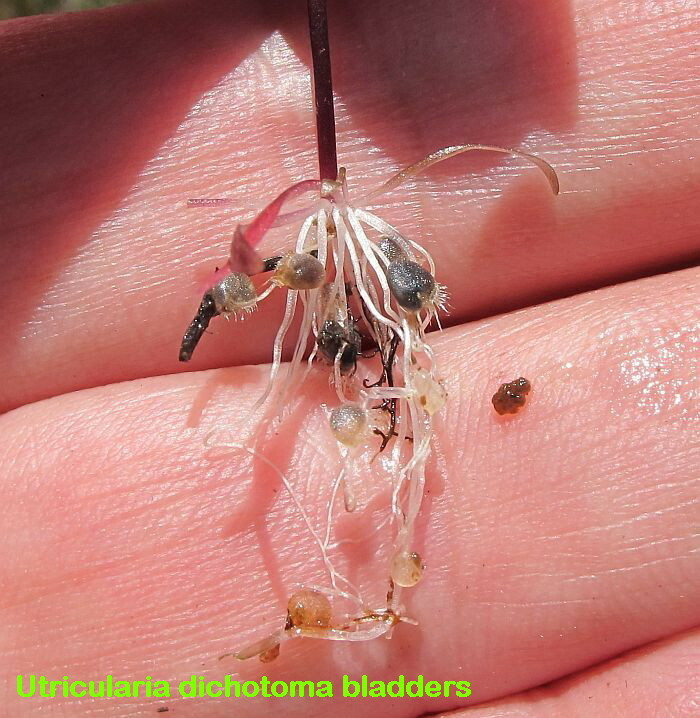 The small oval shaped bladders have several trigger hairs which when touched can quickly open a bladder door to catch small pond-life by the in-rush of water. 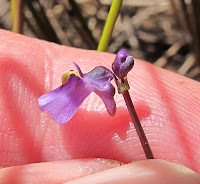 There is a small rosette of linear leaves at the base of the stem, which along with an uppermost single flower, can in addition support one to four pairs of flowers (1-9 in total), or one to three whorls of three. The time of flowering in other parts of Australia is known for every month except the two coldest of June and July, whereas in WA it is only been recorded for November, December and March. Although locally it can also flower as late as January and with the help of a summer storm, probably February too. 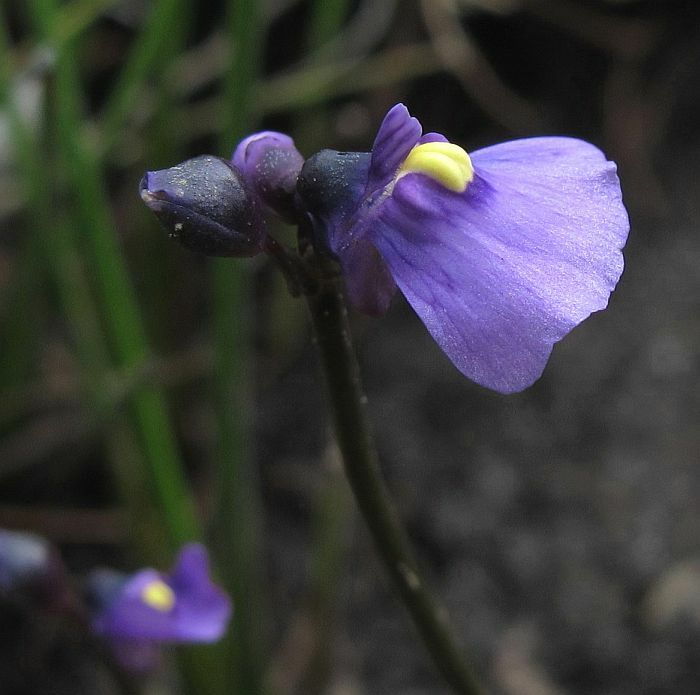 The Utricularia genus belongs to the Lentibulariaceae family.